FlightScope will be hosting the 2nd Annual Long Drive Contest at the Golf & Travel Show. Think you have what it takes to be the long drive champ? Stop by booth 3511 to test your skills. 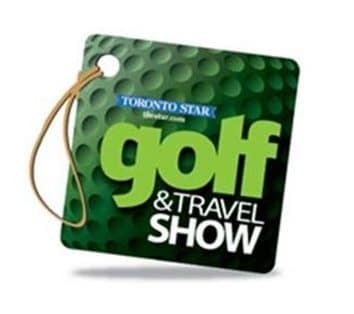 The 26th annual Golf & Travel Show will take place February 20-23, 2015 at the International Centre in Mississauga, Ontario. The show will feature a demo range with companies such as TaylorMade, Mizuno, Adams Golf and Callaway. There will also be a hole-in-one contest with a grand prize of $10,000 sponsored by ClubLink Players Club. In addition, there will be a 5,000 Round Giveaway featuring courses such as Deerfield Golf Club, Mill Run Golf Club - Executive Course, The Briars Golf Club, Wolf Run Golf Club, Whisky Run Golf Club and many more. Five of Canada's leading golf instructors will also be presenting during the show. Presenters include Sam Young, Jason Helman, Henry Brunton, Martin Chuck and Todd Graves.